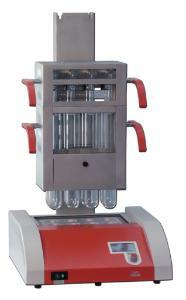 Block digestion systems with high-quality corrosion-resistant block housing made of stainless steel. 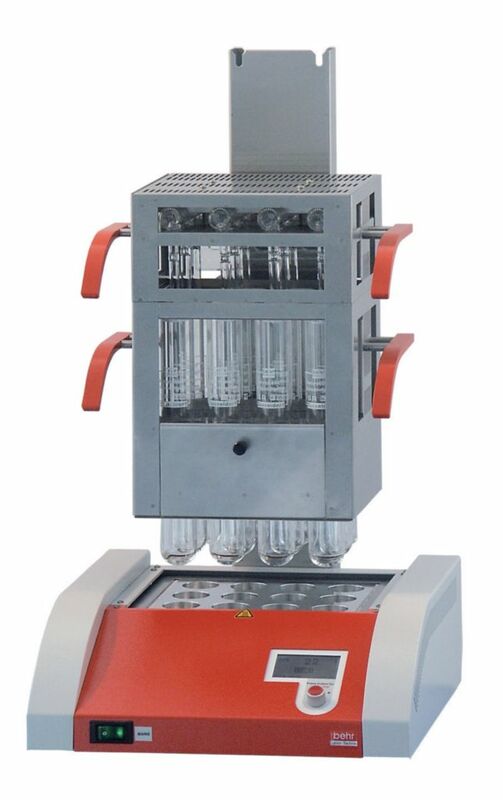 With 8, 12 or 20 sample slots for standard Kjeldahl digestion vessels with a volume of 250 ml, has high-efficiency heating and extraction hood with exhaust collector. Menu navigation in national language. Leveringsinformatie: Complete systems are supplied with digestion vessels, rack and extraction hood.